Summer has just arrived and with it comes lots of fun in and visits to pools. That got us thinking about swimmer’s ear and earaches in general. Swimmer’s ear is an infection, irritation, or inflammation of the skin that covers that part of the outer ear that leads to the ear drum. Medically, it’s referred to as acute external otitis. Causes are usually attributable to bacteria, i.e., streptococcus, staphylococcus, or pseudomonas, found in the water that gets caught or trapped in the ear. Infection can occur because the bacteria in the trapped water multiply. How Do You Know if You Have Swimmer’s Ear? If you suffer from the aforementioned symptoms, consult with an ENT doctor immediately. Leaving Swimmer’s Ear untreated can trigger more ear infections, hearing loss, and bone/cartilage loss (yes, bacteria will spread to the brain, skull, and even cranial nerves). When you think about Swimmer’s Ear, think moisture. 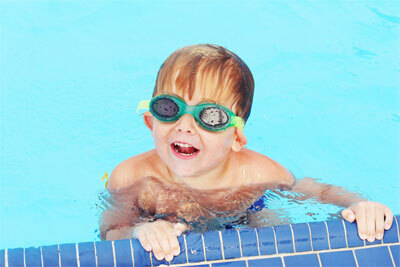 Thus, preventing Swimmer’s Ear is all about dryness. Truth be told, if you get a persistent earache or feel as though you have an ear infection, make an appointment to see your ENT doctor. It just might be an ear infection but it might referred pain from a sinus infection, sore throat, even a toothache. So, don’t presume to diagnose yourself with an ear infection even though it may feel like one and do not take antibiotics with a prescription.